Calico is proud to have their October performance be a part of the 12th Annual Daniel Pearl World Music Days– a global network of concerts that uses the universal language of music to diminish hatred, respect differences, and reach out in global friendship. Daniel Pearl, the journalist and musician kidnapped and murdered by terrorists in Pakistan was a classically-trained violinist, as well as a fiddler and mandolin player who joined musical groups wherever he traveled. His family and friends decided to carry on his work of connecting people through music and communication by starting the Daniel Pearl Foundation. One of their programs asks musicians to add a few words to their October concerts in a united call for a hate-free world. So, we will join people around the world in a tribute to all the visionary men and women who use the power of music to lift peoples of different backgrounds and beliefs above the differences that set us apart. 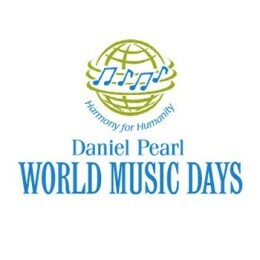 “Harmony for Humanity” is the theme of Daniel Pearl World Music Days: We hope that you will take this reminder to find ways to bridge cultural differences and bring harmony to the world.